Whether it’s a new pair of UGG boots for the holidays or an older pair you want to spruce up, adding a bit of sparkle to your winter wear is as easy as can be. Learn how to make your classics go from simple boots to a pair that shimmers in the light. 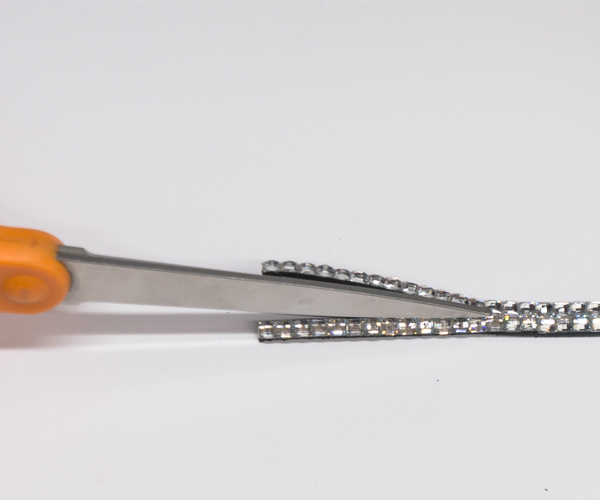 Step One: Cut the metal portion of the lanyard with your scissors to create a strip of rhinestones to work with. Step Two: Cut the strip of rhinestone into single pieces. Step Three: Apply glue on rhinestone single strips. 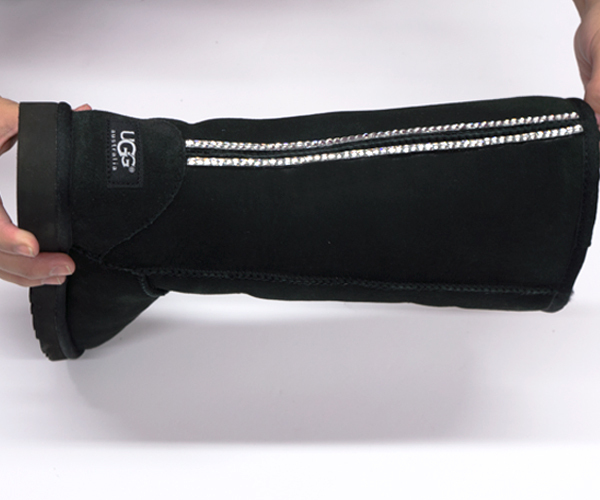 Step Four: Place rhinestone strip on back of the UGG. Aleene's Fabric Fusion will dry clear. Step Five: Repeat step four and apply second strip on back of the boot. Step Six: Repeat steps two through five on second boot. Voila! An added touch of sparkle to your classics and now you’re ready to shimmer all season long. Good luck!